Israel will submit a request for $5 billion annual military aid, Reuters reports. Photo: Wikiipedia. JNS.org – Israel is requesting $5 billion in annual defense aid from the U.S. over the next decade in order to address growing threats in the Middle East. Israel currently receives approximately $3 billion a year in U.S. military aid under a deal that is set to expire in 2017. The new package Israel is requesting would provide $5 billion in military aid, congressional sources told Reuters. Israel says that the increase will be needed to address growing threats from countries such as Iran. Israel fears that Iran will use sanctions relief from the nuclear deal and resulting growing economic prosperity to increase its support for terror groups such as Hezbollah and Hamas. However, the report said that the White House will likely push back against Israel and that the two sides will likely settle somewhere between $4 and $5 billion. Before the nuclear deal, both sides have been negotiating a military package between $3.6 and $3.7 billion. “First they have to negotiate with the White House,” one senior congressional aide said of Israel, Reuters reported. In addition, Israel has also requested special military equipment from the U.S., including squadrons of F-15 stealth fighter jets, V-22 Osprey aircraft helicopters, as well as other refueling aircraft, helicopters, precision weapons and Arrow 3 missile defense interceptors, Yedioth Ahronoth reported. 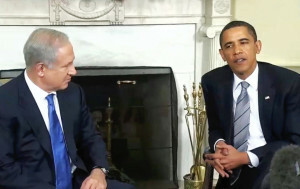 Israeli Prime Minister Benjamin Netayahu is due to visit Washington D.C. next week and meet with U.S. President Barack Obama to discuss the military package and other issues.